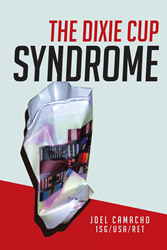 Recent release “The Dixie Cup Syndrome” from Page Publishing author Joel Camacho is a searing indictment of the US Veterans Administration and the legislators who enact laws that fail to adequately serve the needs of retired American soldiers. Joel Camacho, a retired First Sergeant, father, grandfather, and Vietnam Era veteran with twenty-two years of honorable service in the US Army currently residing in Galveston, Texas with his wife and two dogs, has completed his book “The Dixie Cup Syndrome”: an examination of the role of politicians who make the laws, policies, and regulations impacting the lives and wellbeing of those who served to uphold and protect the Constitution of the United States of America. Published by New York City-based Page Publishing, Joel Camacho’s book is an eye-opening examination of the failures of Congress and the US Veterans Administration to serve the needs of the men and women who dedicate so much of their lives to the nation. Readers who wish to experience this illuminating work can purchase “The Dixie Cup Syndrome” at bookstores everywhere, or online at the Apple iTunes store, Amazon, Google Play, or Barnes and Noble. Page Publishing is a traditional New York-based full-service publishing house that handles all the intricacies involved in publishing its authors’ books, including distribution in the world’s largest retail outlets and royalty generation. Page Publishing knows that authors need to be free to create - not bogged down with logistics like eBook conversion, establishing wholesale accounts, shipping, taxes, and the like. Its roster of accomplished authors and publishing professionals allows writers to leave behind these complex and time-consuming issues to focus on their passion: writing and creating. Learn more at http://www.pagepublishing.com.